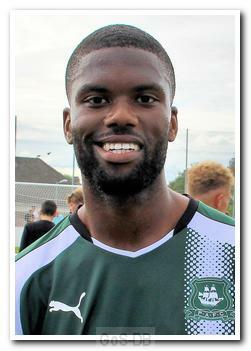 The Acton-born winger became Derek Adams' fifth summer signing in June 2017, as Argyle prepared for life back in League One. Grant, a Jamaican international, travelled the short-distance from Exeter to sign for the Pilgrims, making up for his own promotion disappointment after City's defeat by Blackpool in the League Two Play-off Final at Wembley a month earlier. Grant came through the youth set-up at Watford and made his debut for the Championship side in August 2005, three days short of his 18th birthday. After a further nine matches for the Hornets, he was sent on a half-season loan to National League Aldershot Town in August 2006 (17 appearances, three goals), but was unable to break into Watford's Premiership team on his return. At the end of the 2006-07 season he was released at Vicarage Road and a few months later returned to Aldershot, initially on non-contract forms before signing a deal in December 2007. 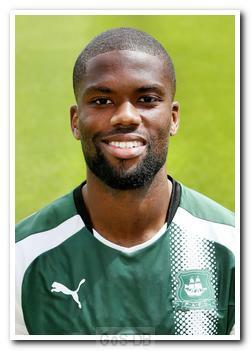 That season he notched up four goals in a further 35 appearances for the Shots. His form in Hampshire saw him signed by League One Crewe Alexandra for a six-figure sum in June 2008, and over the following three seasons he scored 18 times in 106 games. He then moved to League One rivals Wycombe Wanderers in June 2011, where he played 77 times and scored 16 goals in the following two seasons. 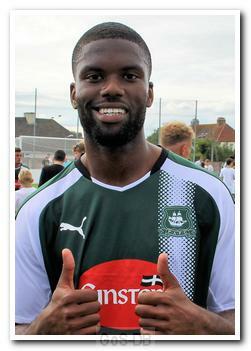 In June 2013 Grant joined Yeovil Town for their first season in England's second tier. 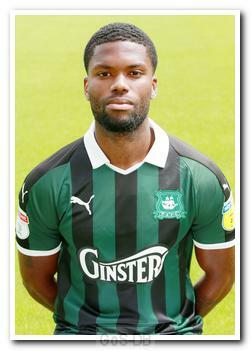 In two years at Huish Park, in which the Glovers dropped two tiers, Grant played 58 times and scored seven goals. At the end of his second season and with Yeovil doomed to League Two, he was released by former Argyle manager Paul Sturrock and signed for Exeter City, after a fund-raising effort by a group of supporters helped pay his salary. Grant began and ended his first season at St James' Park by adding three more international caps to his collection for Jamaica, including a goal (his second at senior international level) in a 2-1 victory in Chile in May 2016. As well as his 14 full caps, he also earned 11 for Jamaica's under-20 side, for whom he scored seven times. After his 59 appearances and nine goals in two seasons for the Grecians (his last being that unsuccessful Wembley final), Grant turned down the offer of a new contract in favour of a chance to play in green. As well as speed and skill, the 29-year-old left-winger brought considerable experience: a total of 362 club games and 57 goals.